What is California SR22 Insurance? A CA SR22 document is issued by your insurance company to serve as a guarantee to the DMV that you have secured the minimum liability coverage required by state law. The California SR22 is required of drivers who have had their driver’s license suspended. California SR22 coverage provides monitoring, in effect, as the insurance company is required to notify the DMV if you allow your coverage to lapse. If you do allow your coverage to lapse, your driver’s license status will return to “suspended” status. Who needs a California SR22? Any driver whose license is suspended by the DMV must obtain an SR22 filing to reinstate their driver’s license in the state of California. In most states, one’s driver’s license may be suspended for a number of reasons, including drunk driving; too many moving violations within a one-year period; outstanding traffic and parking fines; accidents in which the driver was uninsured; and violation of DMV regulations. How do I get a California SR22 Insurance policy? To obtain a California SR22 filing, you must purchase minimum liability coverage on all vehicles registered to you, whether they are operational or non-operational. For those who do not own a vehicle, “non-owners” liability coverage is required. How long do I need a California SR22 Filing? The minimum period for SR22 filing is three years, though it may be longer, based on the severity of the violation(s). How long has FR44 & SR22 Experts been helping California drivers with their SR22 filings? FR44 & SR22 Experts has been helping drivers in California for more than a decade. We’re experts at helping California drivers get the best SR22 policies at the very best prices. The DMV determines when your driver’s license may be reinstated. DMV fees, typically a $10 reinstatement fee, are required to reactivate your driver’s license. In addition, any parking or moving violation judgments or fines will need to be resolved before reinstatement, as well. In order to secure the best pricing for your SR22 and auto coverage, your current DMV Driving Record (MVR) Report will be needed. If you do not have a copy of your driving record, we can generate one in our offices for a $7 fee. What if I don’t own a vehicle? Not a problem! FR44 & SR22 Experts offers different “non-owner’s” or “Named Operator” policies in California to choose from. These policies are typically cheaper than conventional auto insurance policies and provide liability coverage for you while you are driving a vehicle that is not owned or registered to you. Your California SR22 follows your license, not your vehicle. 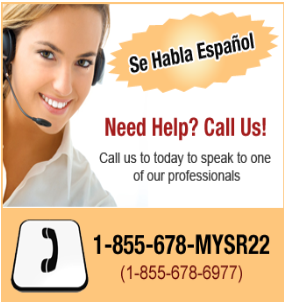 Why choose FR44 & SR22 Experts for your SR-22? FR44 & SR22 Experts makes sure your policy is written correctly THE FIRST TIME so that you can avoid future fees or delays which can cause your California license to be suspended again. You can call and speak with one of our Licensed FR44 & SR22 Experts SR22 Specialist at any time, if you need a quote or have questions about your policy. As a broker, we will shop and re-shop your policy occasionally (at no cost to you) to ensure that you are always paying the lowest rates, no matter what type of policy you purchase from FR44 & SR22 Experts.